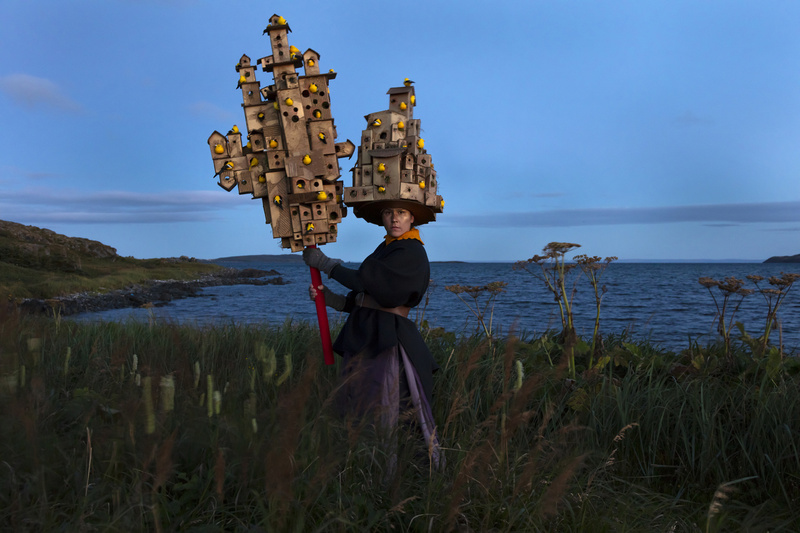 Meryl McMaster, On The Edge of This Immensit, 2019. From the series As Immense as the Sky. Courtesy of the artist, Stephen Bulger Gallery and Pierre-François Ouellette art contemporain. 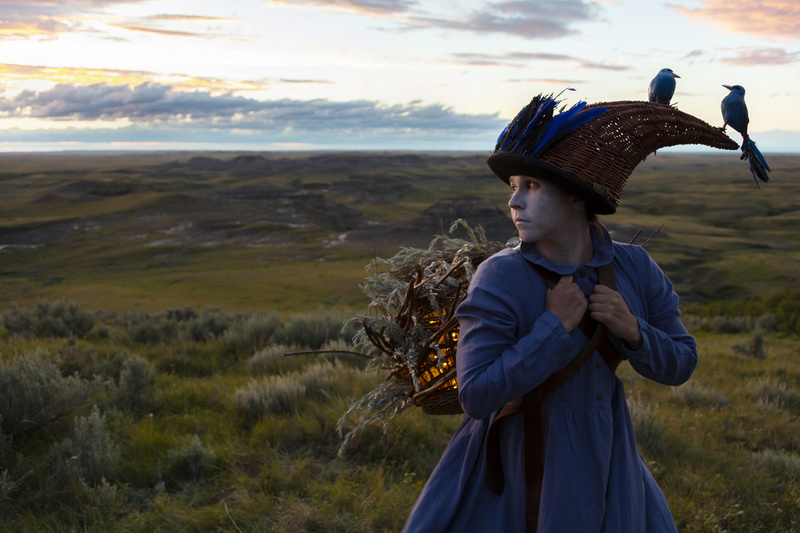 Meryl McMaster, My Destiny is Entwined With Yours, 2019. From the series As Immense as the Sky. Courtesy of the artist, Stephen Bulger Gallery and Pierre-François Ouellette art contemporain. 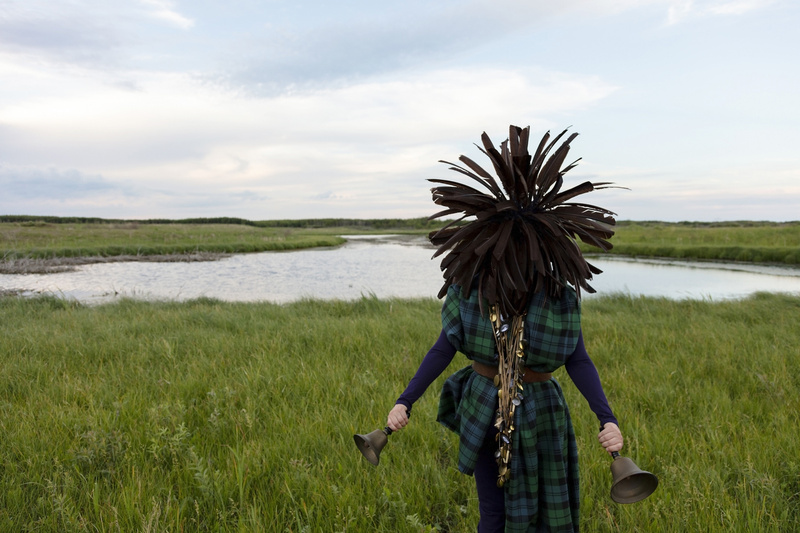 Meryl McMaster, From a Still Unquiet Place, 2019. From the series As Immense as the Sky. Courtesy of the artist, Stephen Bulger Gallery and Pierre-François Ouellette art contemporain. 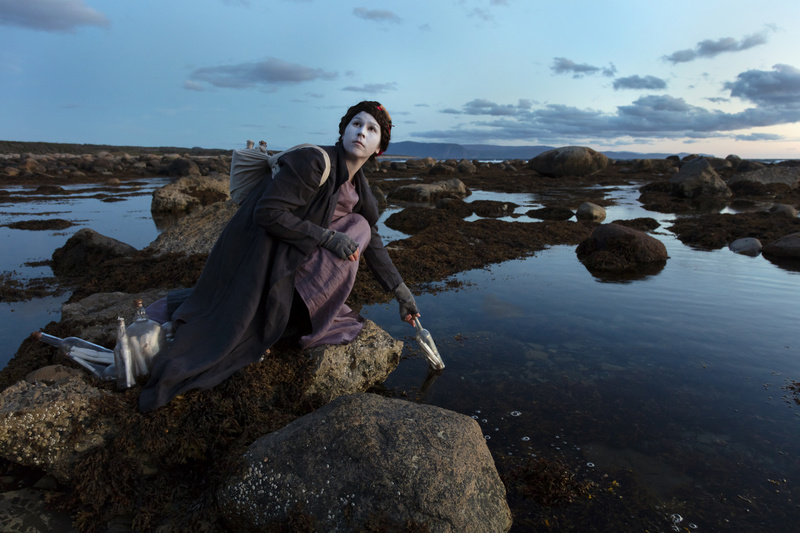 Meryl McMaster, Ordovician Tide I, 2019. From the series As Immense as the Sky. Courtesy of the artist, Stephen Bulger Gallery and Pierre-François Ouellette art contemporain. 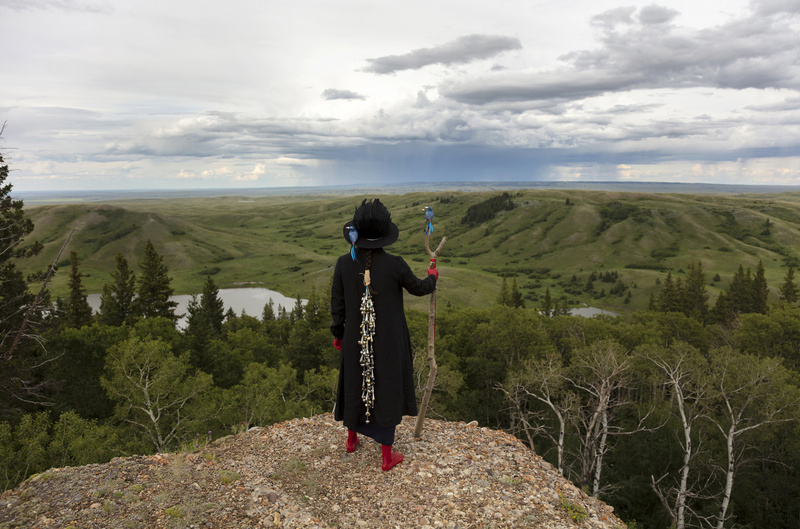 Meryl McMaster, Lead Me to Places I Could Never Find on My Own, 2019. From the series As Immense as the Sky. Courtesy of the artist, Stephen Bulger Gallery and Pierre-François Ouellette art contemporain. 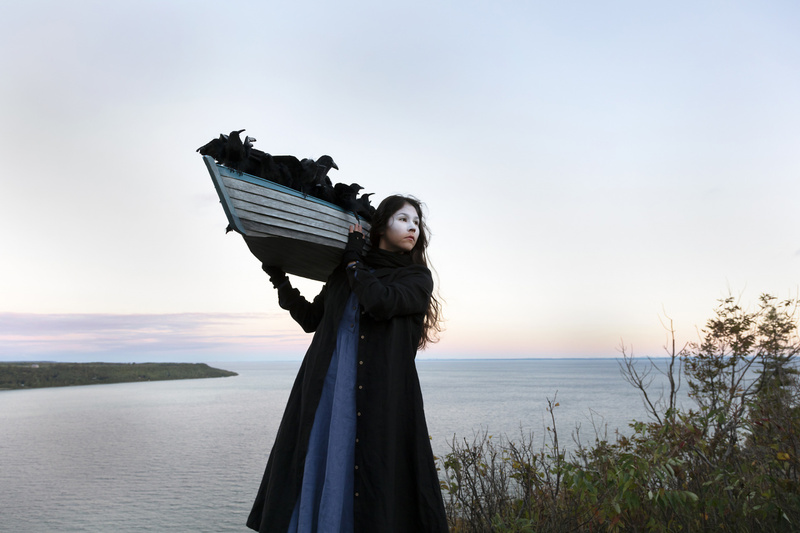 Meryl McMaster, Harbourage For a Song, 2019. From the series As Immense as the Sky. Courtesy of the artist, Stephen Bulger Gallery and Pierre-François Ouellette art contemporain. “The way we experience the passing of time shapes our relationship to and understanding of our immediate world. My awareness of time comes from an overlapping of two distinct approaches—one is that of a linear path that extends in both directions from the present, and another one that is recurrent and cyclical. This intersection of world views has been part of my upbringing, a result of being born into a family both Western and Indigenous. Contemplating time and the countless cycles of life that have recurred around the ancient mistassini (monoliths), sputinas (buttes), wiyacahk (canyons), and ayeakow awacha (dunes) of Turtle Island led to the development of As Immense as the Sky. These thoughts left me in a state of wonderment, but also stirred within me a fearful apprehension of our permanent and collective impact upon our beautiful world. To confront this fear, I sought wisdom in the places of ancestral life, listening to the truths of relatives, knowledge keepers, friends, and peoples who have traversed this land before me. At the social, cultural, and environmental contact zones of my Indigenous and European ancestors, I set out to study and collect their knowledge and to animate and retell it in a personally transformative process through photography. Many places I visited hold particular meaning for my direct ancestors as they are sites of significant moments in their lives; I was drawn to the sites of sentient stories across central and southern Saskatchewan and to the shores of early settlement in Ontario and Newfoundland. My aim was to reconnect with those who came before me as a way of introducing myself to the land on which they lived. I came to see these landscapes as immense time capsules of buried knowledge. As Immense as the Sky is about walking these ancient paths, experiencing the diversity of panoramas, and learning about my ancestors’ wisdom.